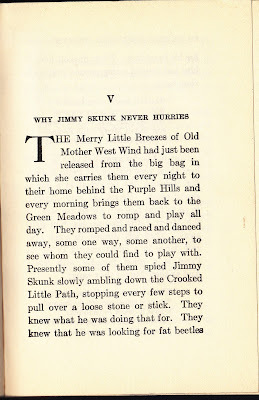 Scholastic's "Teaching with pourquoi tales"
ReadWriteThink's "Pourquoi stories: Creating tales to tell why"
University of Missouri's eTheme's "Folktales: Pourquoi tales"which even links the topic to education standards. 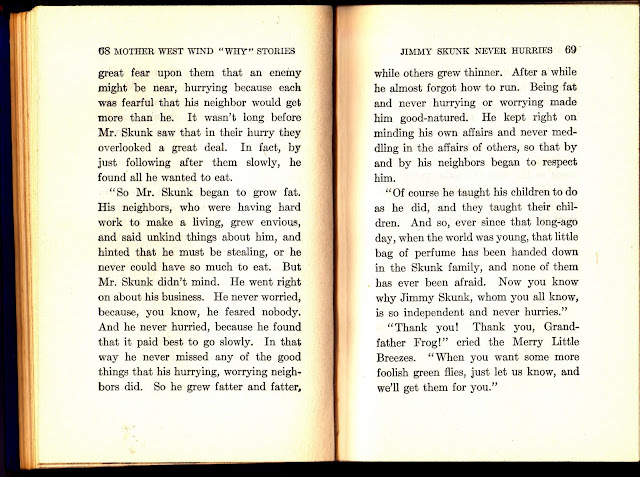 That's all for today. 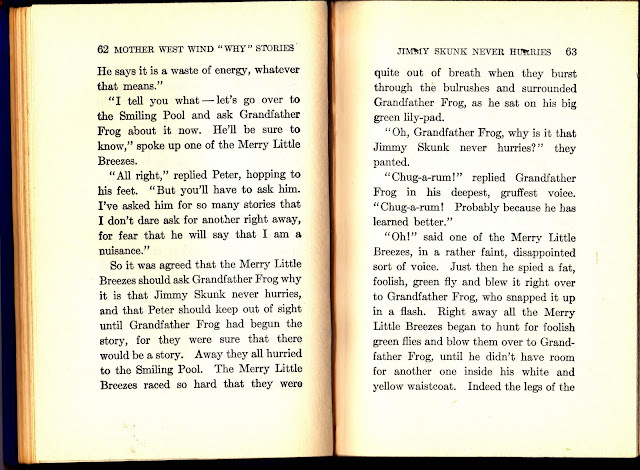 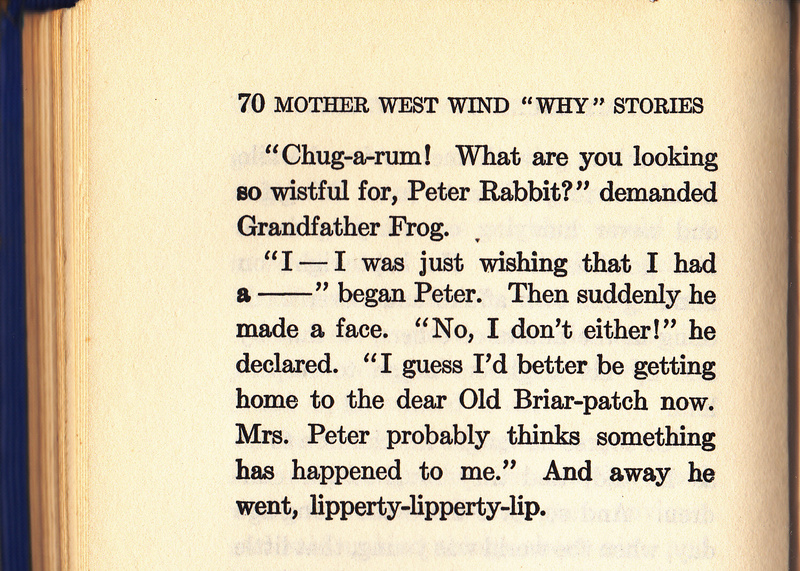 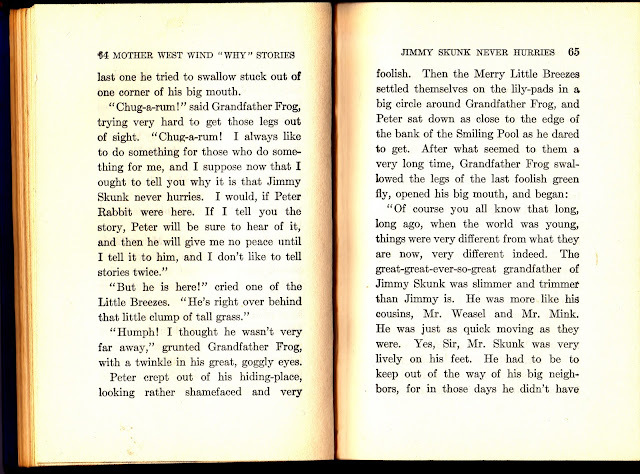 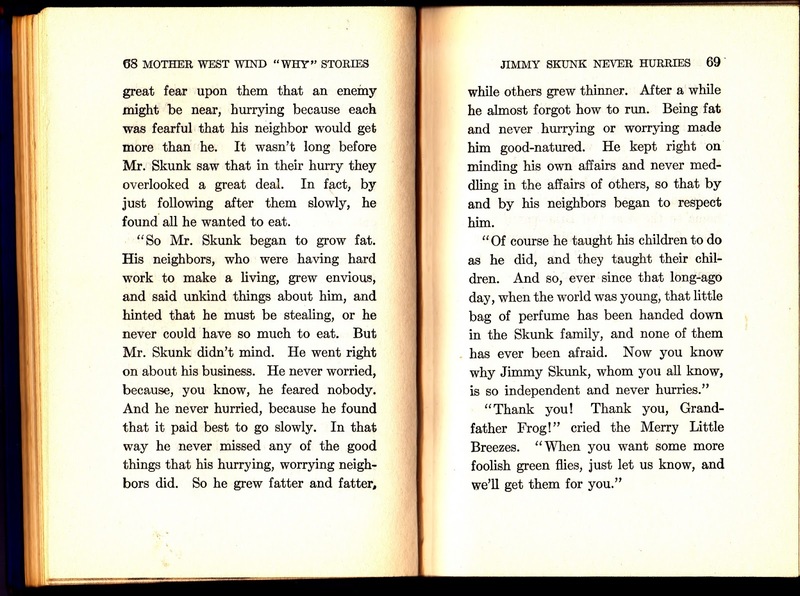 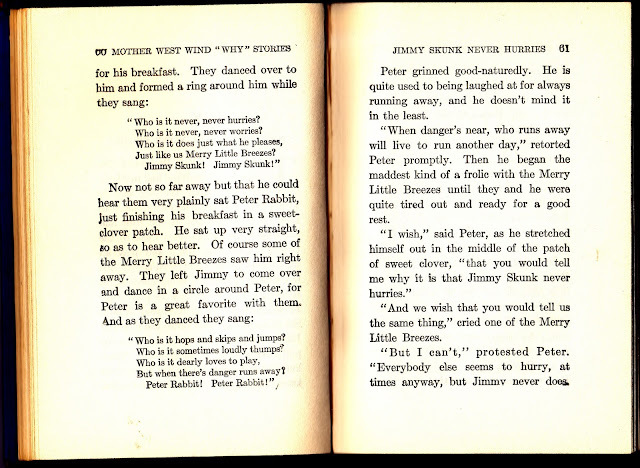 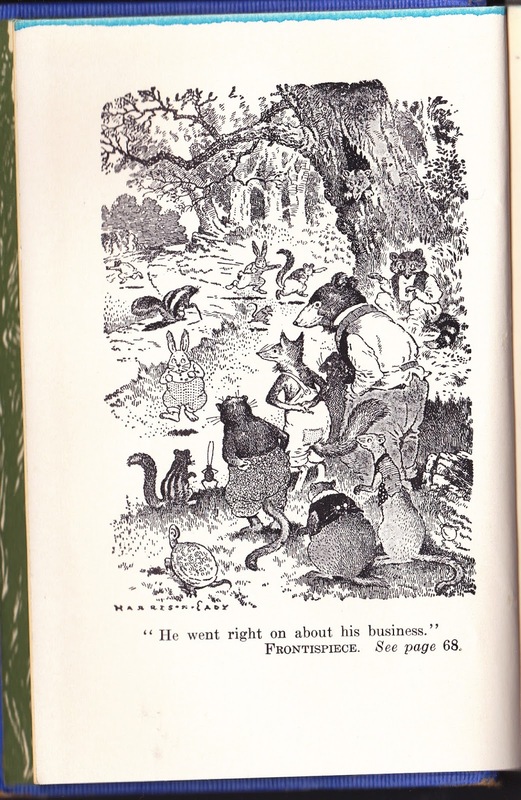 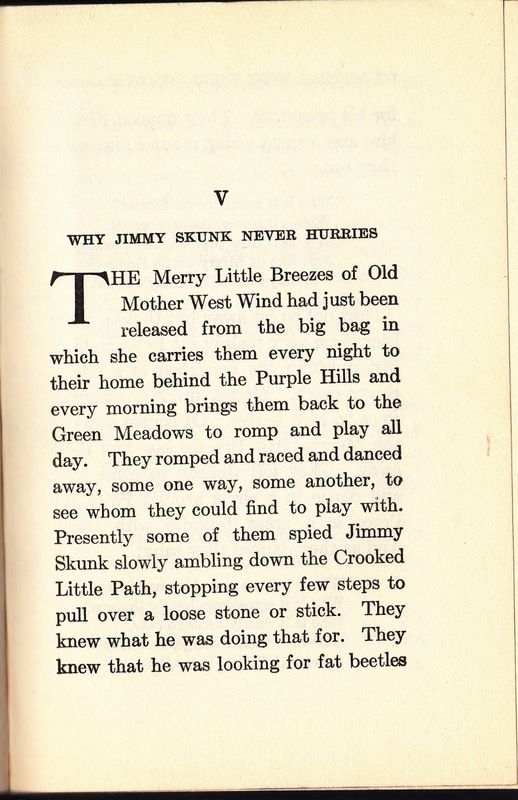 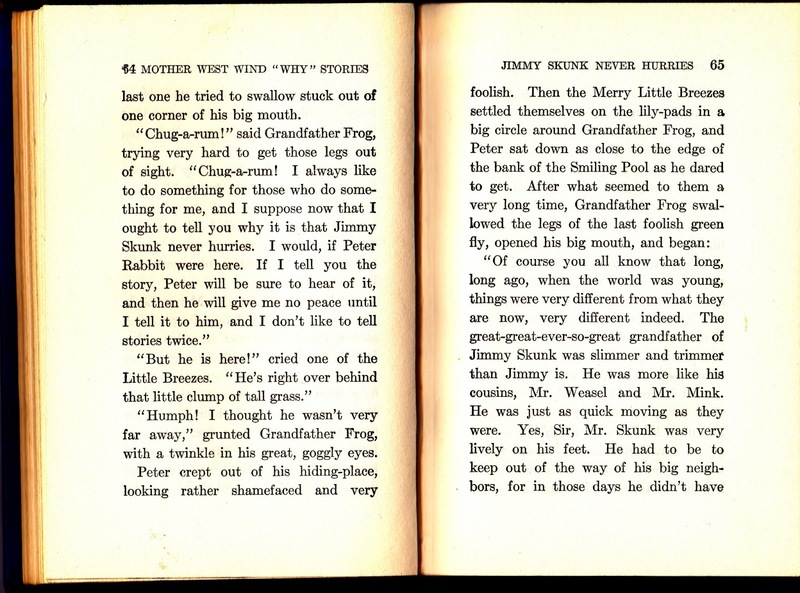 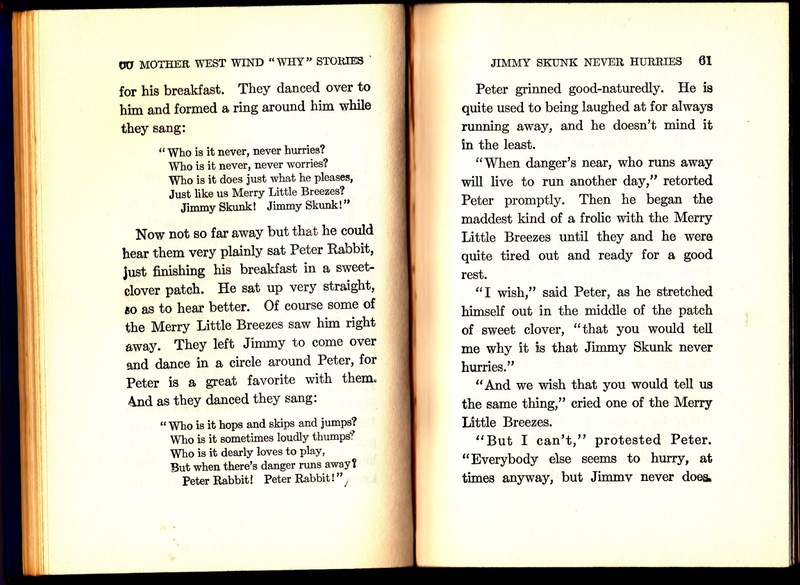 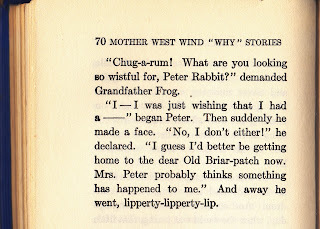 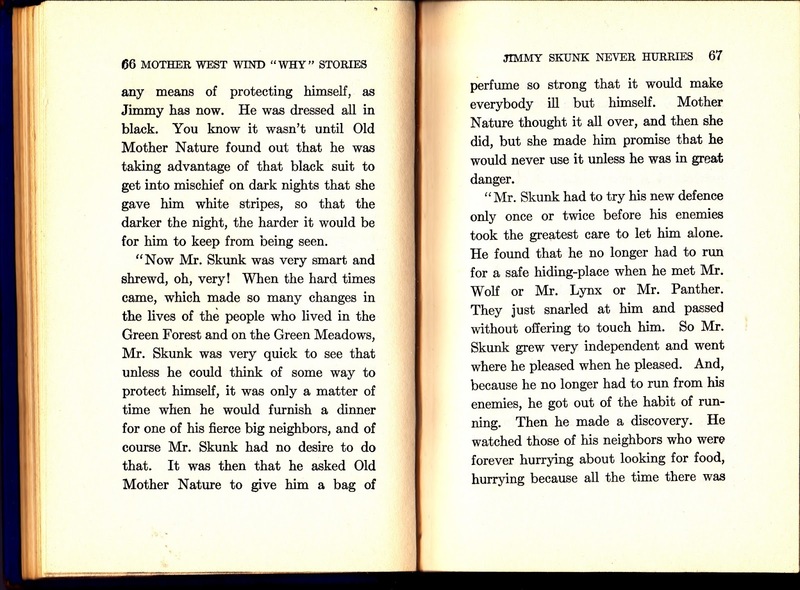 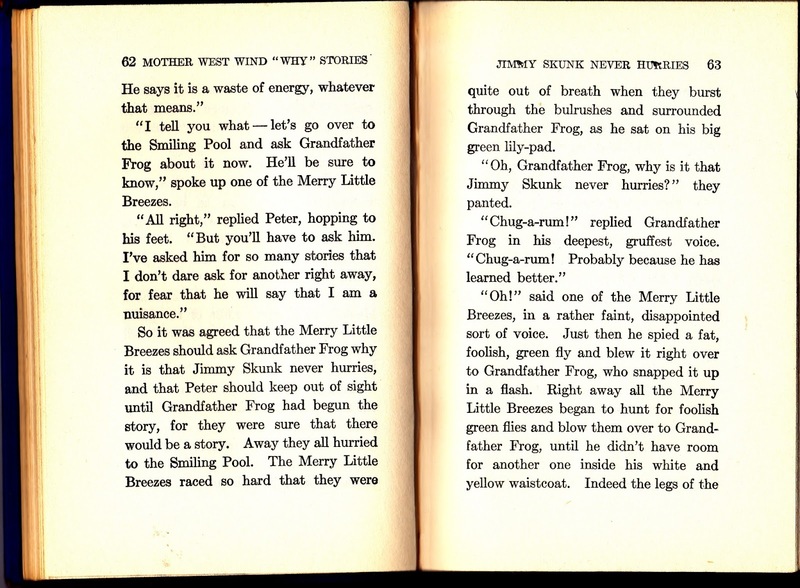 I guess I, too, should hop away "lipperty-lipperty-lip", but if you want to read the rest of Thornton Burgess's Pourqois tales here's the Project Gutenberg link Mother West Wind "Why" Stories to the entire book. 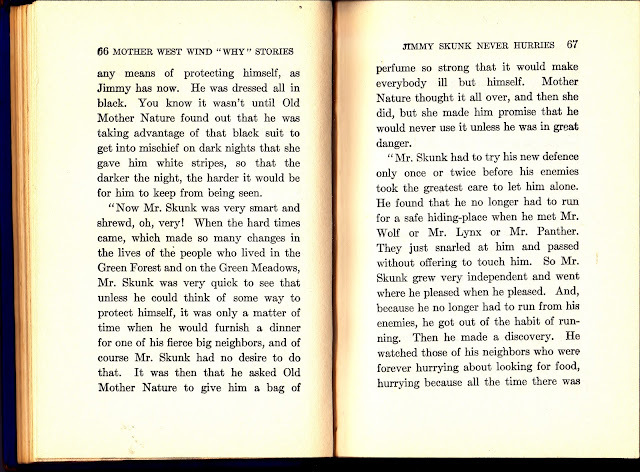 Look for our next story, which will be from Spain.